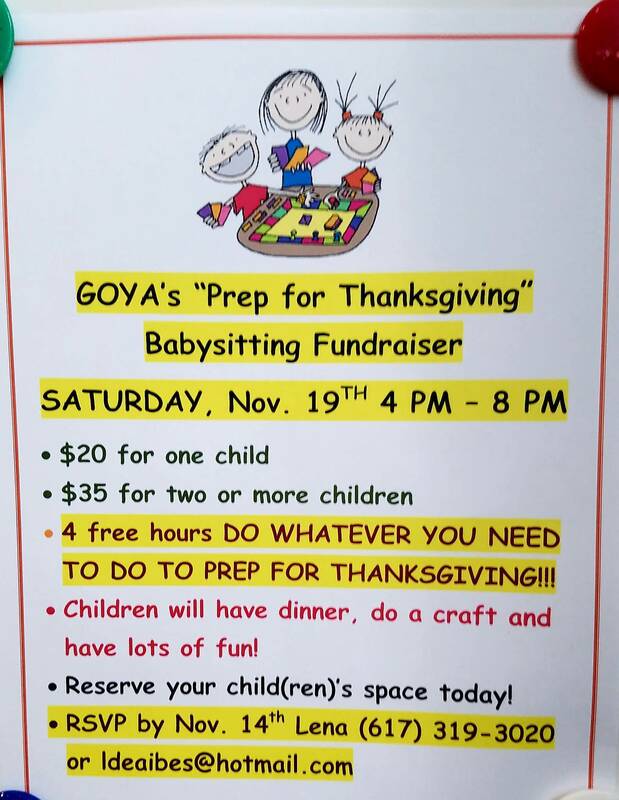 As a fundraiser, the Youth Group (GOYA) along with chaperones will be babysitting for four hours. The children will have dinner, do an art craft and have LOTS of fun! Parents will have four hours to get their errands done, have a quiet dinner or whatever you choose!